There have been some major changes recently that may alter the outcome if a business was to enter voluntary administration. The first change is the introduction of ‘Safe Harbour’. The idea of the new safe harbour provision is to protect the directors of companies that go into liquidation if they are genuinely attempting to turn their company’s financial situation around. This safe harbour provision will continue to exist as long as the threshold tests are met and the current company’s course of action to rectify their financial situation is likely to lead to a better outcome. To be eligible for safe harbour provisions there are two threshold tests that need to continuously apply throughout voluntary administration. The first is all employee entitlements must by paid when they are due, these generally are wages, super and withholding tax. The second threshold test is that the company must adhere to all their reporting obligations to the ATO. This second test does not mean all amounts need to be paid that are reported, they just need to be reported. However, the company will be not be eligible for safe harbour if the threshold tests have not been met in the previous 12 months, two or more times. The second change is the amendment to the Ipso Facto clause. What is this you may be asking? The Ipso Facto clause is a clause in contracts that states: if a company goes into liquidation then this contract will be terminated. All contracts entered into from 1 July 2018 that contain an Ipso Facto clause will not be terminated if the business enters into voluntary administration. This change is a positive one as it means if you are in voluntary administration and you are trying to turn your business around then your contracts are not void, which gives businesses the ability to still have cash flow to improve their financial situation and possibly take them out of voluntary administration. Construction contracts >$1 billion entered into before 1 July 2023. Derivatives, securities, financing transactions, flawed asset arrangements, margin lending facilities and covered bond arrangements. Arrangements where securities are, or may be, offered under a rights issue. 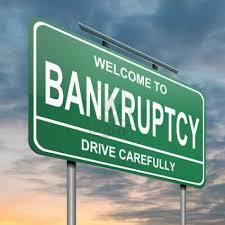 The final recent change to the world of insolvency is the one-year bankruptcy proposal. Currently this is still in parliament to be either accepted or denied. This one-year bankruptcy will mean individuals will only be bankrupt for a period of one year, and some travelling restrictions will be removed. However, the income contributions limit will still stay at 3 years. The reason this has been introduced is the government is trying to encourage entrepreneurs to start new businesses without the threat of a long bankruptcy if they fail and also that 19% of bankruptcies in the 2017 financial year were business related, the rest were personal. Australian Residents for Tax Purposes & the Tax Free-ThresholdWhat’s in a name?